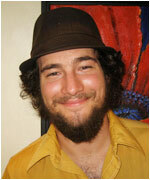 Meet Bridger Jancic, mainstay at the Bittersweet Cafe, fiddle player extraordinaire, and all around source of positive energy. You can sometimes catch Bridger skateboarding to work in the morning. Make sure to say hi! Jake is a one year old rescue dog who spends his days at Zaremba Graphic + Web Solutions. Jake often visits the dog park at lunch and works on his off-leash training in the evenings. 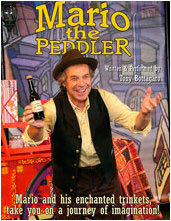 Attend an unforgettable evening of thought-provoking, humorous, and timely messages fit for all ages, with “Mario the Peddler,” written and performed by Tony Bottagaro. All proceeds will go to the Meal Sponsorship Fund to subsidize meals for homebound residents that are unable to cover the cost of their food. A reception will follow featuring “delights” from East Boulder County’s best bakeries and restaurants. Tickets: $15 adults; $10 students. For further information contact Melinda Hall, 303-665-9566 or visit www.moweastboulder.org. This month kicks off Zucca’s tribute to the great food and wine of Italy by offering a 3-course, $25 prix- fixe dinner and featured regional wine specials every Sunday. Sardinia is rich in heritage, beauty and bounty, and culinary selections will reflect the unique cuisine of this region. Zucca will feature a different region each month. Reservations are recommended. Menus can be viewed online at www.zuccalouisville.com. Once your skills for preparing a soup base are perfected, the options are endless!. Experience the combinations of tastes from sweet to savory that fill our tummies with comfort. From Classic French favorites to the latest healthy comfort foods, tasting is mandatory. 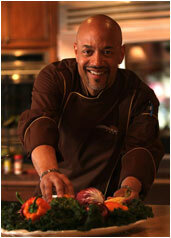 By popular demand, Chef Keith Jones of the TV program of the same name, will share his electric personality and culinary skill. Enjoy the Blackened Tuna with Curry Sabayon, Fried Shrimp with Watermelon and Jicama Coleslaw, and smoked Lamb Loin with Lentils and Red Wine Vinaigrette. Tickets for each are $20. Advance registration required: Barbara@mountainhighappliance.com or 303-951-0524. How did the Great Depression affect your family? Come share your personal memories of the Depression or stories from your family, whether based in the Boulder County area or elsewhere. A discussion of family history resources for people researching what their families did during the Depression era will also take place. For more information contact the Louisville Historical Museum. Local favorite, Lisa Bell will kick off the Fall Coffeehouse Concert Series with her smooth, jazzy voice and subtle style. Over the years she has emerged as an indie singer/songwriter with deep jazz roots, rock and blues influences and a keen interest in the healing benefits of music. She will be joined by Bob Story (guitar) and Chris Malley (bass). Tickets are $12 Adults; $8 Seniors and youth under 15. Prepare your palate for an engaging evening of interesting conversation, delicious food and wine pairings by award-winning Bookcliff Vineyards. The Chef and winemakers will offer a 3-course meal and talk about their inspirations. Tickets are $50–55 with optional wine pairings for each course for $18. Feeling out of whack? Drs. Karen and Marty Achtermann not only do spinal adjustments, but they also specialize in nutrition by helping you reach your full health potential. Check out one or all of these talks and get yourself in balance! Are you stressed out? Find out how to balance your adrenals in times of stress. Fall is a great time to detoxify! Learn an easy way to cleanse the liver and your body of toxins. How to boost your immune system and decrease your chances of having an Auto-immune reaction. In addition to their normal office hours, they will be open Saturday October 1 and 15 from 9 – 11:00 am.